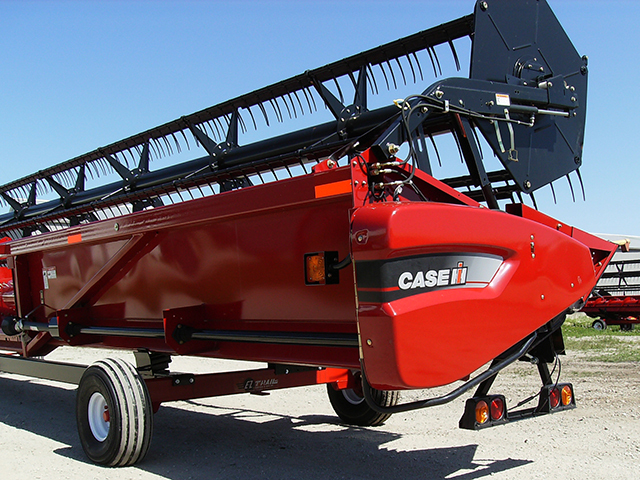 Moving wide grain heads doesn't need to be hazardous or worrisome. 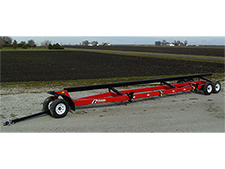 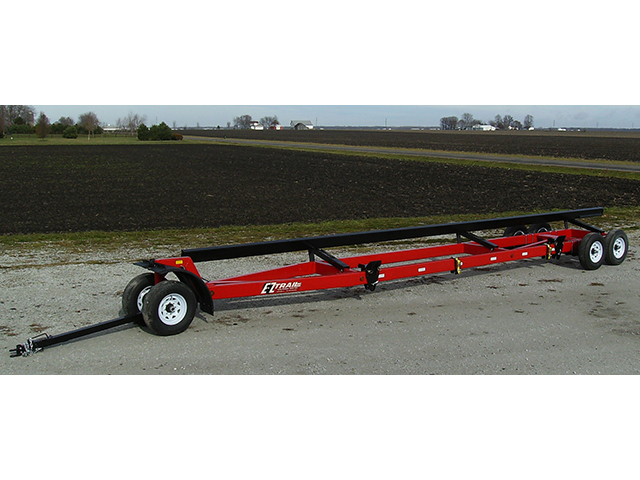 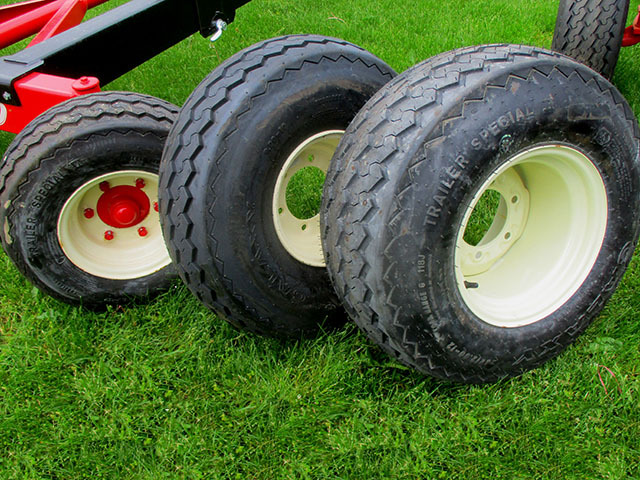 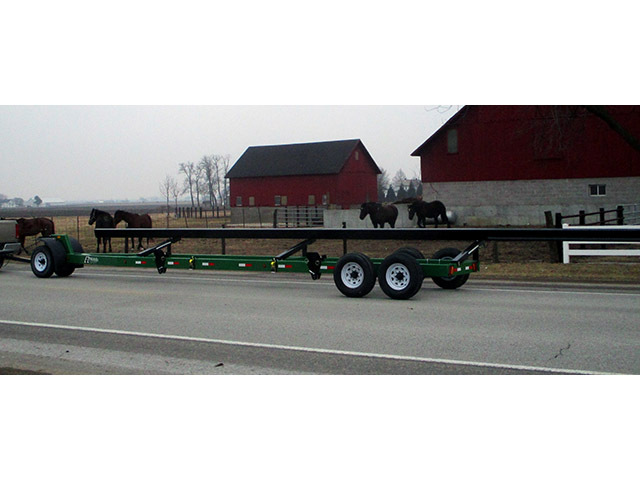 It can be as safe and easy as towing a legal width trailer on the road, across bridges, and through farm gates. 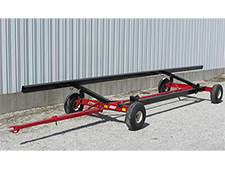 With a Head Hauler, tight corners and low roof areas can be utilized for convenient inside storage. 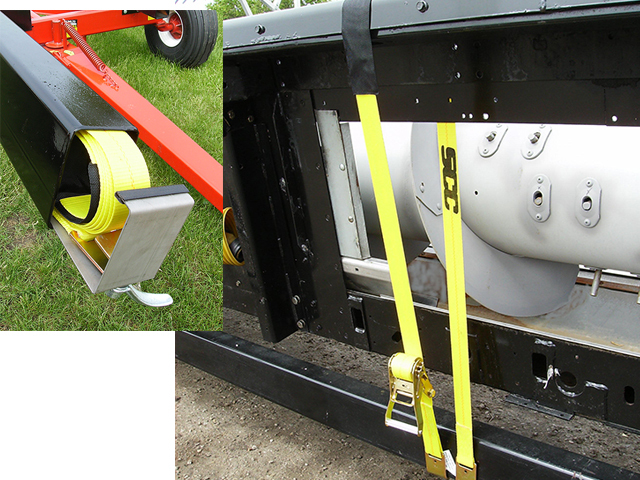 Don't take a chance...safety is no accident! The long upper rail is easily adjusted with ONE HAND using our Patented E-Z Handcranks, now standard on all models. 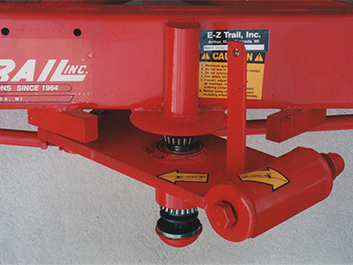 "Lifetime" accurate trailing is assured by E-Z Trail's original steering centered around sealed tapered roller bearings, truck type ball joints and dual stops with 100% greater oversteer protection. All steering parts are weather protected for lifetime outdoor use. 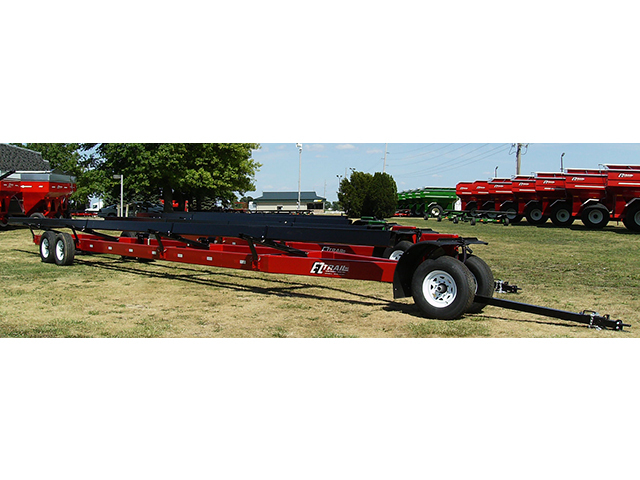 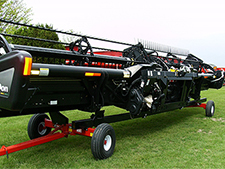 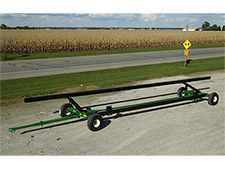 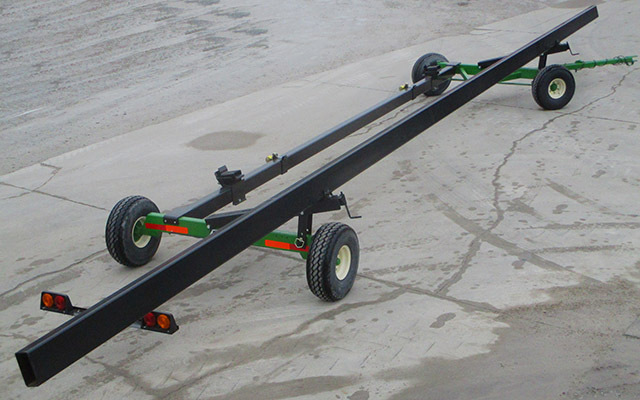 Patented two-way slider brackets can be easily adjusted to accommodate any brand of grain or corn head. 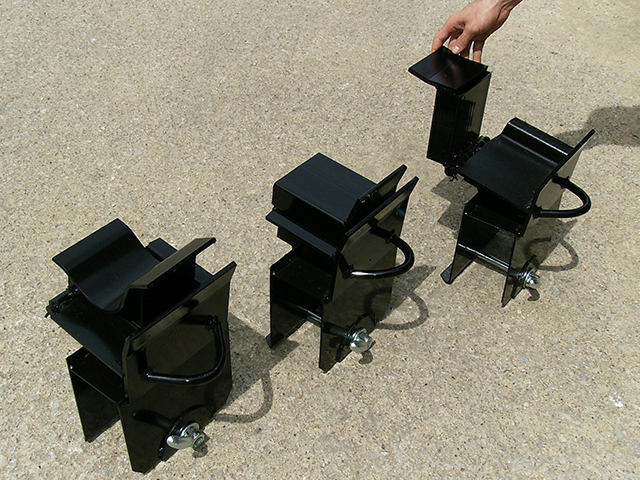 Brackets are designed to fit round or square frames, channels, & gussets. Optional Lighting Kit: A necessity for use before sunrise and after sunset. Optional Ratchet Tie Down: 10,000# test nylon strap hooks into slots on bottom rail and secures heads without a scratch. 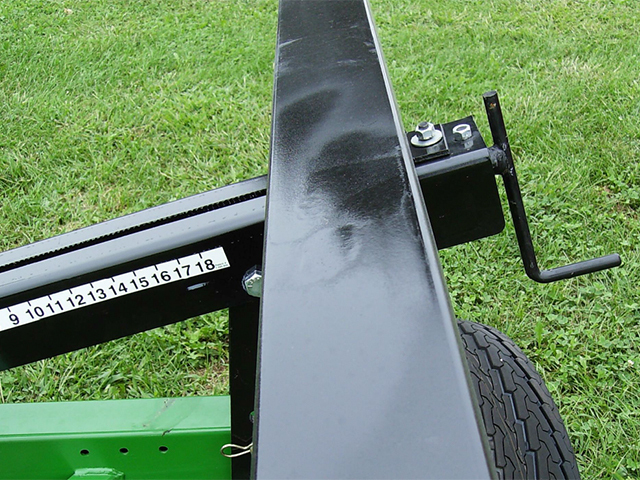 Storage tray slides into top rail. 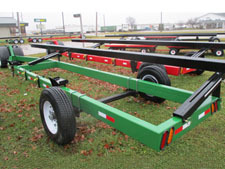 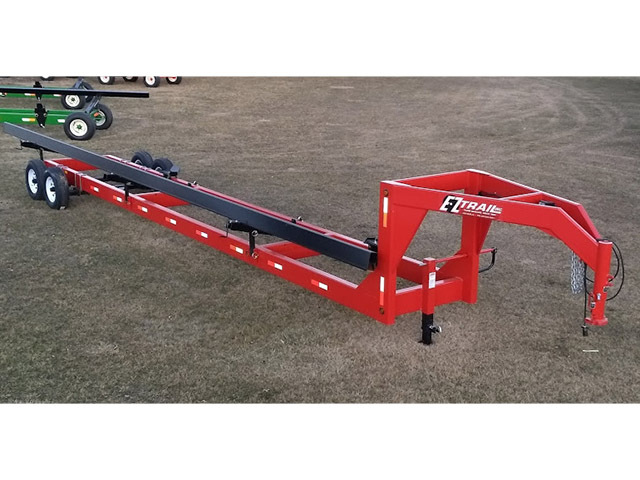 E-Z Trail Head Haulers are available in 5 sizes: 21', 26', 31', 37' & 42', as well as a model for Draper heads. They are designed to fit all brands and models of combine grain and corn heads. Standard features like extendable "E-Z Hitch" tongue with spring lift assist, lifetime accurate trailing, and wrench-free quick adjusting of the upper rail & rests at no extra cost...help you move ahead at a price that won't set you back! ** Available in RED or GREEN. 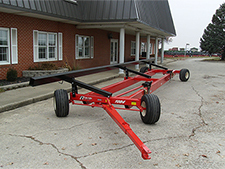 Farmers & dealers are having a "fit" with E-Z Trail's tricycle front, heavy duty Header Transport. 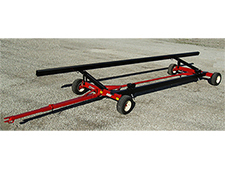 Standard features include: two adjustable 7000 lb. 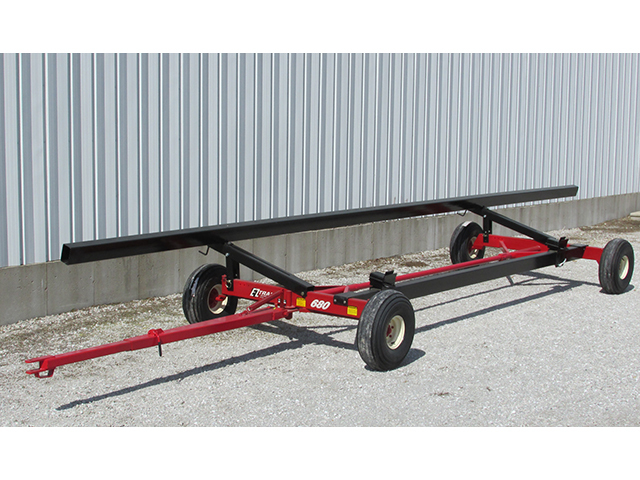 torsion axles, 4-wheel electric brakes, deluxe LED lighting, E-Z Lift telescoping tongue, safety chains, and best of all, the patented acme screw crank adjustment for the heavy upper rest bar. 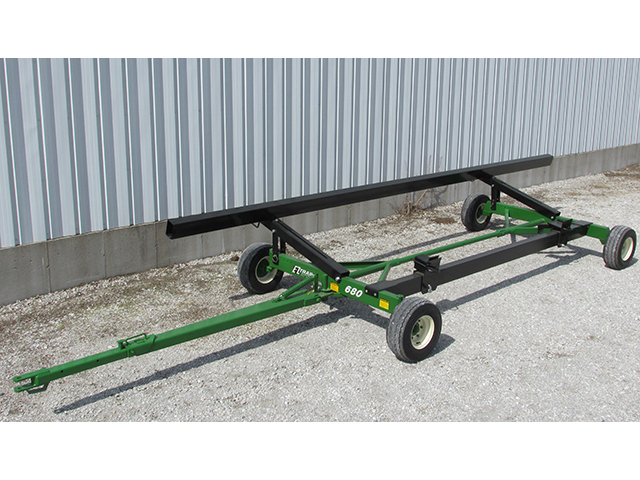 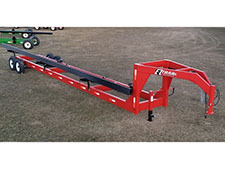 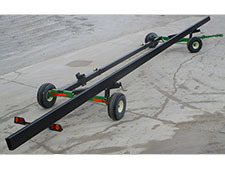 E-Z Trail Header Transports are available in four sizes: 31', 37', 42' & 48'. 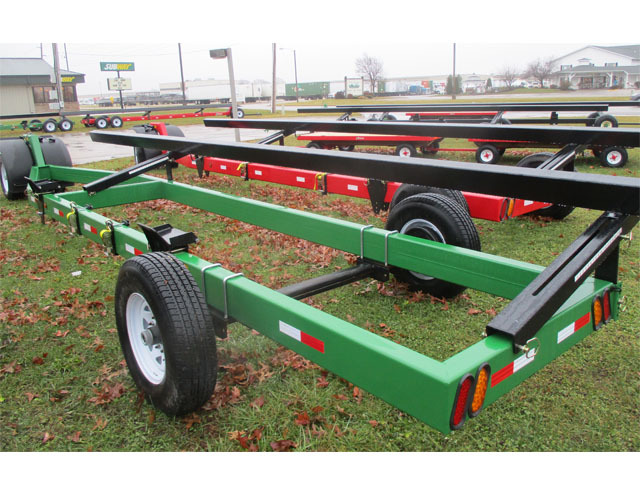 Color choices are Red or Green. 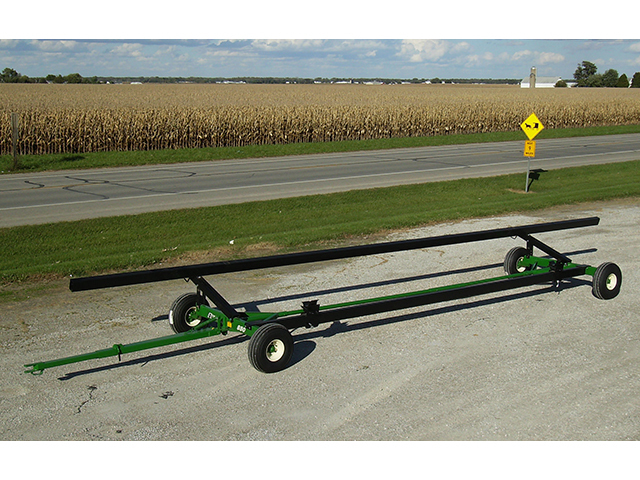 Span from Upper to Lower Rest 30" - 59.5"
Rest Bracket Height 24.5" - 27.5"
Upper Rest Tube Height 40" - 49"
Frame Dimension (Tube) 6" x 4"
Frame Dimension (Tube) 8" x 4"
Rest Bracket Height 26.5" - 28"
Upper Rest Tube Height 42" - 51"
Frame Dimension (Tube) 10" X 4"